Plus One raises $8.3 million in venture round, will advance piece-picking platform for order fulfillment and parcel shipping. Robotic automation startup Plus One Robotics Inc. has raised $8.3 million in venture capital—with participation from Zebra Technologies—and says it will use the funds to hire executive staff and to advance its three-dimensional (3-D) vision and controls platform for robotic automation in e-commerce. San Antonio-based Plus One released in May its first commercial product, a software and hardware combination called the PickOne Perception System, designed for logistics piece-picking applications for the order-fulfillment and parcel-shipping markets. The company now follows a $2.35 million investment round from earlier in 2018 with the new funds, bringing total investment to $10.65 million. The latest round was led by Pritzker Group Venture Capital, with participation from logistics technology and mobile handset vendor Zebra Technologies Corp. Also participating in the round were Schematic Ventures, Lerer Hippeau, TCL Ventures, ff Venture Capital, Dynamo, and First Star Ventures. Zebra made the investment through its corporate investment arm, Zebra Ventures. The division provides venture capital to boost tech startups through the launch phase, backing firms in the retail, transportation and logistics, warehousing and manufacturing, and healthcare verticals, Zebra says. Zebra Ventures currently has investments in firms operating in the areas of: analytics, artificial intelligence, asset visibility, augmented reality, automation and robotics, cloud-based device management, data capture, location and motion sensing, and mobile computing. 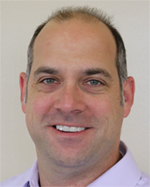 David Scheffrahn has been named vice president of sales for Plus One Robotics. "We work with early stage, innovative companies that share our ambition to drive productive, automated workflows through transformative technology," Tony Palcheck, managing director of Zebra Ventures, said in a release. "We continually seek effective solutions that provide a performance edge by intelligently connecting people, assets, and data. Plus One Robotics augments manual human labor, freeing up personnel to focus on more value-add activities." In addition to advancing its technology platform, Plus One is using its new funds to expand its executive team, adding industry veteran David Scheffrahn as vice president of sales. Following years of experience at automation and robotics vendors like Yaskawa Motoman Robotics, Rethink Robotics, and Seegrid, Scheffrahn says he plans to apply to similar values in his new role. "They understand that their employees are their most valuable resource," Scheffrahn said in a statement. "We share their vision to elevate human workers to value-added tasks and reduce their burden of mundane, repetitive work." Feedback: What did you think of this article? We'd like to hear from you. DC VELOCITY is committed to accuracy and clarity in the delivery of important and useful logistics and supply chain news and information. If you find anything in DC VELOCITY you feel is inaccurate or warrants further explanation, please ?Subject=Feedback - : Zebra Technologies invests in e-commerce automation startup Plus One Robotics">contact Chief Editor David Maloney. All comments are eligible for publication in the letters section of DC VELOCITY magazine. Please include you name and the name of the company or organization your work for.